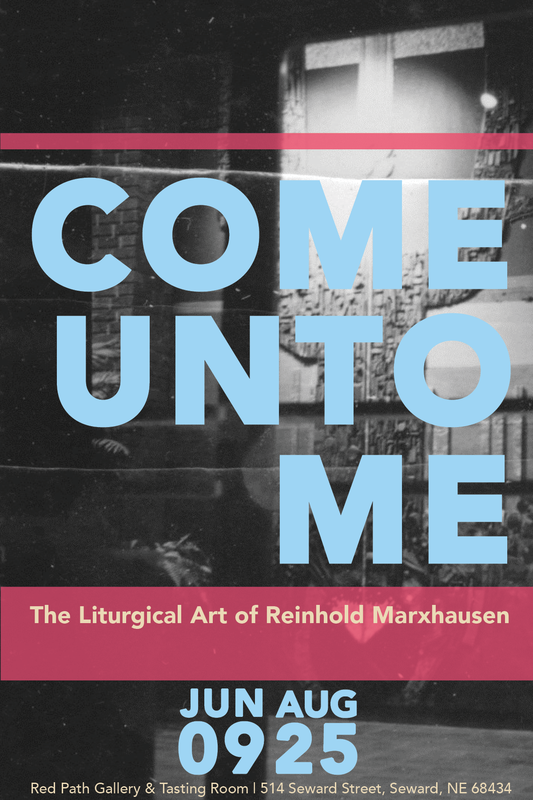 Red Path Gallery in Seward, Nebraska will be hosting the exhibition, Come Unto Me: Liturgical Art of Reinhold Marxhausen, which showcases more than 40 pieces of artwork by celebrated Seward artist Reinhold Marxhausen. Pieces in this exhibition reflect Reinhold’s Christian faith in a wide variety of traditional and modern forms. In addition to the pieces, the exhibition will be supported with archival material including photos and video footage. The exhibition will run from Saturday, June 9th through Saturday, August 25th. Much of Marxhausen’s art conveys a Christian message. His commissioned art includes many altars, baptismal fonts, stained glass windows, altar crosses and altar sculptures. These pieces enhance the worship experience in churches throughout the country including churches in Seward, Lincoln, Omaha, Norfork, Indianapolis, St. Louis and Chicago to name a few. Marxhausen’s passion for visually impacting worship lives on at Concordia University’s Center for Liturgical Art which is built on the lot formerly occupied by the Marxhausen home. 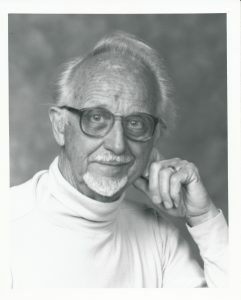 Reinhold Pieper Marxhausen (1922-2011) became the first art department chair of Concordia University, Nebraska in 1951, where he taught until his retirement in 1991. Marxhausen is best known for his mosaic murals and sound sculptures. Two massive mosaic murals have been on permanent display in the Nebraska State Capital since the 1960s. His Stardust and other sound sculptures received national attention when he demonstrated them during two appearances on the Late Show with David Letterman in 1986 and again in 1990. Lincoln Journal Star included Marxhausen in its 2017 list of 150 Notable Nebraskans. 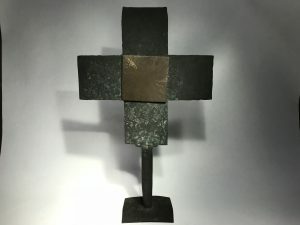 Proceeds from the sale of these pieces will be used to restore the original Marxhausen Studio at Concordia University’s Center for Liturgical Art and to improve the playground and classrooms at the St. John Child Development Center both of which are located in Seward, Nebraska. To date, more than $65,000 worth of projects have been funded through the generous donation of this artwork by the family of Dorris and Reinhold Marxhausen. Red Path Gallery & Tasting Room features work by Nebraska and regional artists as well as wine by Nebraska wine makers. 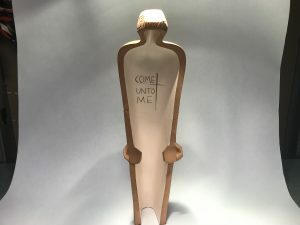 Red Path Gallery is working in conjunction with Concordia University’s Center for Liturgical Arts and St. John Child Development Center to host this Exhibition. 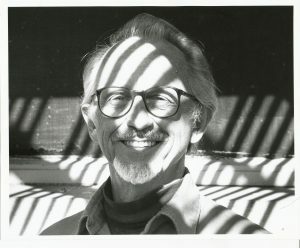 Red Path Gallery will open a unique exhibition featuring celebrated Seward, Nebraska artist Reinhold Marxhausen on July 1st, on view until July 4th. 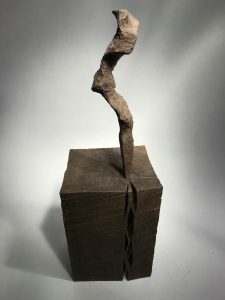 Marxhausen’s Front Door: Burning Wood into Art will feature over 20 works by Marxhausen, including the iconic front door of their home as well as numerous smaller “burnt wood” pieces meant to be picked up and touched. In addition, the exhibition will be supported with archival material including photos of the works in progress and video footage of Marxhausen. 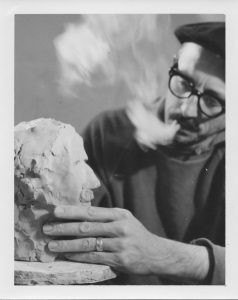 Reinhold Pieper Marxhausen (1922-2011) was the first art department chair of Concordia University, Nebraska in 1951; where he taught until his retirement in 1991. Marxhausen is best known for his sound sculptures and mosaic murals. Two massive mosaic murals have been on permanent display in the Nebraska State Capital since the 1960s. 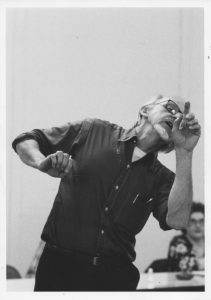 His sound sculptures received national attention when he demonstrated them during two appearances on the Late Show with David Letterman in 1986 and again in 1990. 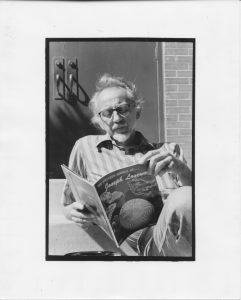 Marxhausen was recently named in the Lincoln Journal Star’s list of 150 Notable Nebraskans. 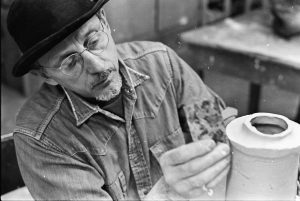 Marxhausen’s Front Door: Burning Wood into Art will feature the iconic burnt wood mosaic front door from the Marxhausen residence in Seward Nebraska. The door was saved when the residence was torn down and will serve as the front door to Concordia University’s new Center for Liturgical Arts currently under construction in the same location as the Marxhausen residence. Included in the exhibition are many smaller burnt wood mosaics, cubes, cylinders, plaques and organic pieces. These pieces are meant to be picked up and touched. 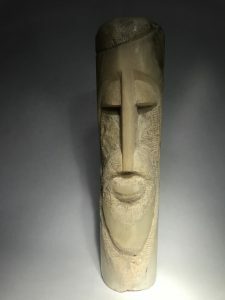 Also shown will be several incomplete burn wood pieces that demonstrate the creation process as well as pictures of Marxhausen creating burnt wood works. Archival footage of Marxhausen will also be on display. In addition to the door, Concordia University and the Center for Liturgical Arts are loaning five other Marxhausen burnt wood pieces to the show from their permanent collection including “Landscape” and “Loose Ends” as well as pieces from the Marxhausen house that have not been available to the public before. Although the majority of the works shown will not be for sale, there will be some pieces available for purchase. Proceeds from the sale of those pieces will go toward the playground and classrooms of St. John’s Child Development Center. 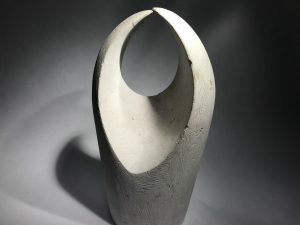 Red Path Gallery & Tasting Room features work by Nebraska and regional artists as well as wine by Nebraska wine makers. 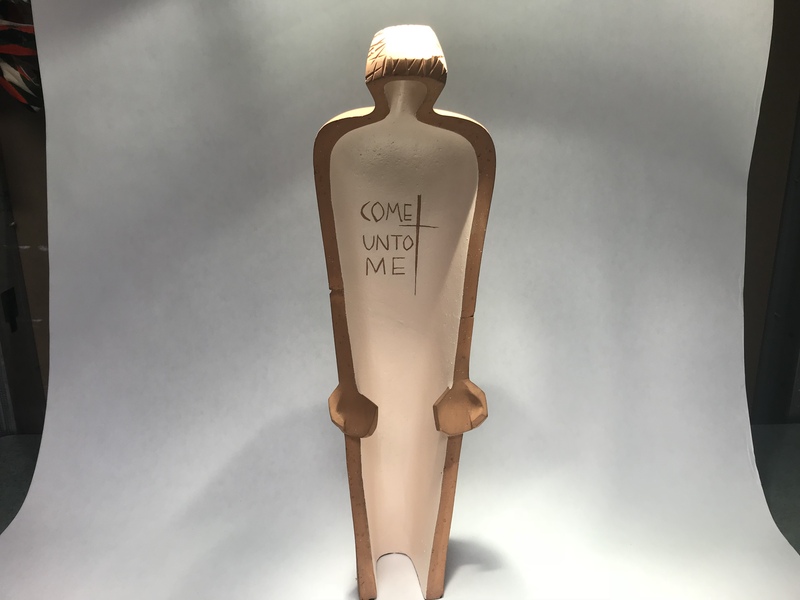 Red Path Gallery is working in conjunction with Concordia University’s Center for Liturgical Art and St. John Child Development Center to host this Exhibition.